I have to admit, I know very little about Sailor Moon. My knowledge of anime pretty much starts and stops at Trigun and Cowboy Bebop. I do know, though, that it's a popular series that many people out there love. Well, if you want to bring it to your tabletops, you're in luck Dyskami Publishing has started taking pre-orders for the first in their series of Sailor Moon games with Sailor Moon Crystal Dice Challenge. 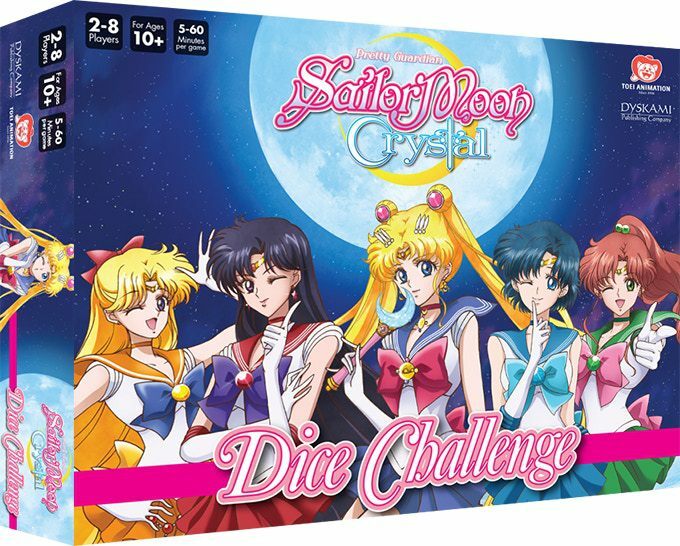 Dyskami Publishing Company announced today that it now accepting website pre-orders for its upcoming tabletop game, Sailor Moon Crystal Dice Challenge. Dyskami previously disclosed that it had entered into a North American licensing arrangement with Toei Animation Inc. to design and distribute a diverse line of dice games and board games based on the popular Japanese animation series, Sailor Moon Crystal, and Dice Challenge is Dyskami’s first release in the line. Sailor Moon Crystal Dice Challenge is scheduled to ship and release in May 2018.